As far as car purchases go, the DeSoto was a safe, solid choice. One thing DeSoto excelled in as well was offering large families a decent car to seat up to seven or nine people in relative comfort. The top-line versions of these were called the Suburban, well ahead of Chevrolet using that name, and through 1952, the DeSoto Custom Suburban (and other 7-9 passenger cars) rode a 139.5-inch wheelbase, as opposed to 121.5 inches for the other cars. DeSotos were smooth, too, with fluid coupling standard between the engine and the transmission. They were not fast, though. From 1946 through 1950 the DeSoto engine was the venerable 236.6 cid flathead six that made just 109 hp (increased to 112 midway through 1949). The displacement of DeSoto’s Powermaster six was increased to 250.6 cubic inches for 1951, with power now rated at 116 hp. Various body styles were available, including club coupe, convertible coupe, two-door sedan, four-door sedan and several variants of the long-wheelbase cars. As mentioned, the “second series” 1949 cars introduced in the spring were new, with more modern-looking bodies designed after the war rather than being simply carry-over cars (lacking the hidden headlamps of the pre-war cars). 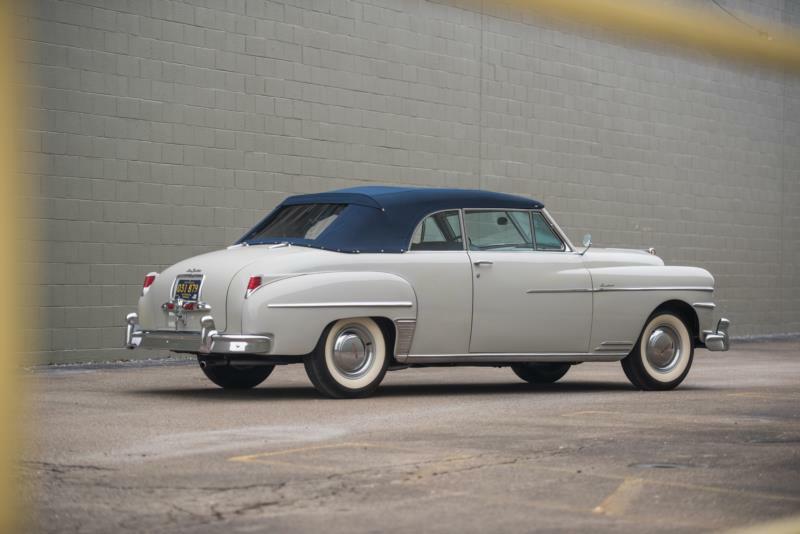 By 1950, steel-bodied and woody station wagons were added, as was a Sportsman hardtop convertible late in the model-year. 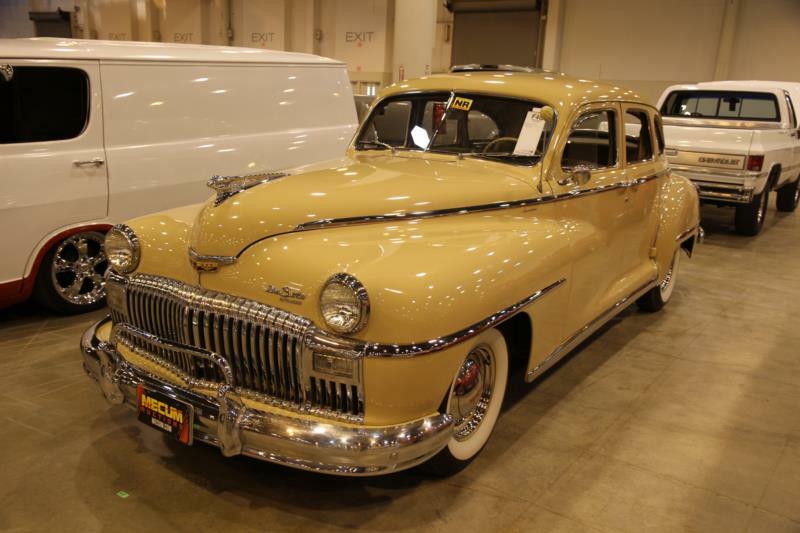 The front-end and grille of the 1951 cars were restyled, but the DeSoto Customs were largely unchanged for 1952.